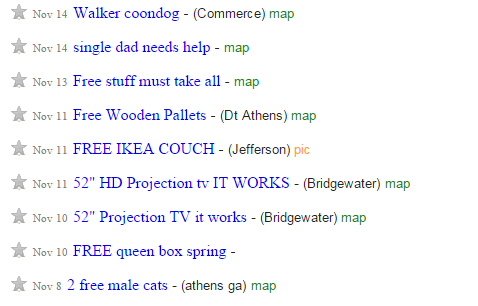 A great way to fill up an empty living space is grabbing deals from the furniture section of Craigslist. It can be a pain, and there’s a lot of poor quality goods, but if you know what you’re looking for it’s not so bad. If you’re in a big city like SF, there’s tons of offerings. A small town like Athens gives you a much more limited selection, but the transitory nature of being a college town can help with prices. A lot of free stuff in college towns, but I’d avoid the used bedding. 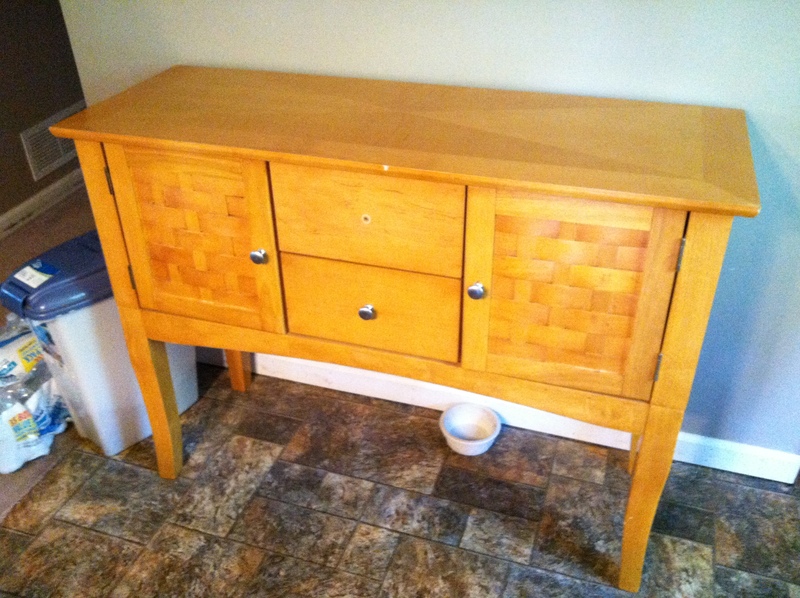 The single best way to find a good deal is to look for solid wood pieces. Sometimes people are liquidating storage or are tired of a dated piece and have no intention of fixing it up. Sometimes they simply don’t know (or care) what it’s worth – they just want it gone. People who don’t know what they have are just as apt to rip you off as give you a good deal, so make sure you aren’t paying for particleboard. To avoid particleboard, pay close attention to the piece’s edges and look at underside or inside of ‘wood’ panels. Examining dings or scratches can also reveal the true composition of a board. Scored this puppy for $35. It’s hideous, but made of solid wood. Just needs some love. 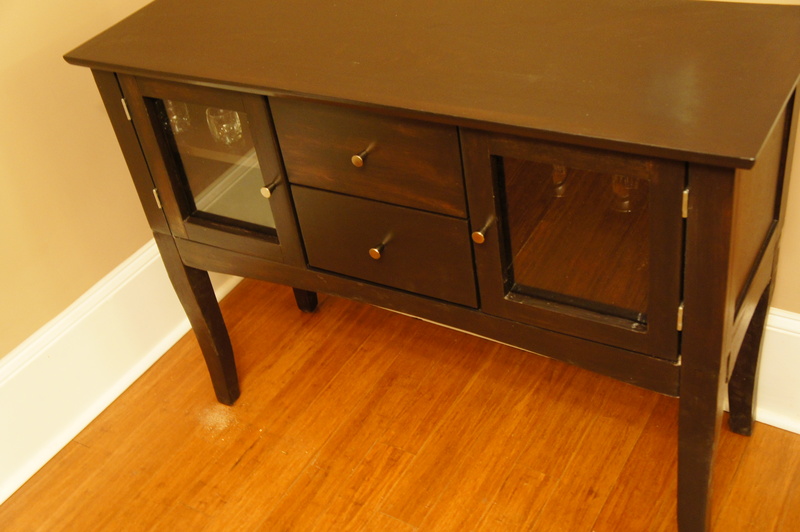 With the right tools, refinishing solid wood furniture can be relatively quick and painless and will save you hundreds. Pay attention to the grain of the wood while you are sanding – I’ve ruined hours of work with 10 seconds and an orbital sander. You will want to wipe up excess stain IMMEDIATELY or it will pool in little drops, dry and create unnecessary (and sticky) sanding work for you. Pay special attention to edges and corners of wood boards. Have several clean sponges/rags on hand. Stain-soaked sponges turn rock-hard when they dry and will scratch your work in progress. Worth the effort. 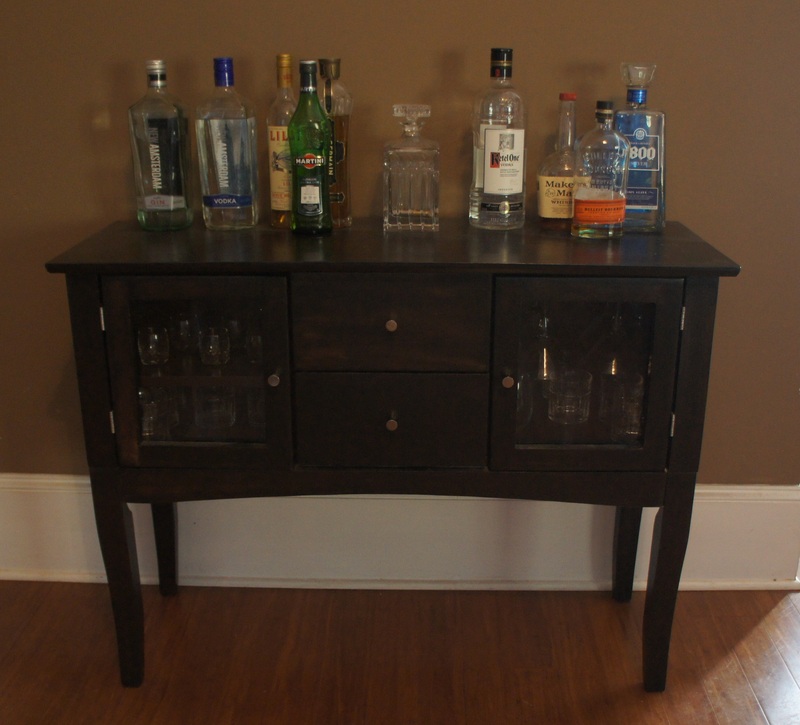 Took a few hours, some sandpaper, half a can of stain, two panels of glass and new hardware (knobs). 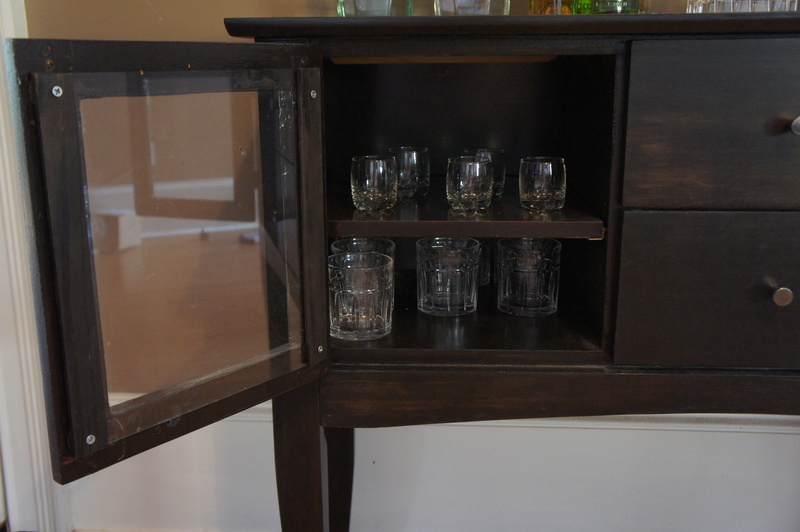 The proper way to mount the glass would be to take apart the cabinet door frame and set the glass panel in a routed groove. These doors did not have the grooves already cut, so I just used some 1″ wide pine strips and a bunch of rubber washers to mount the glass to the inside surface of the frame. 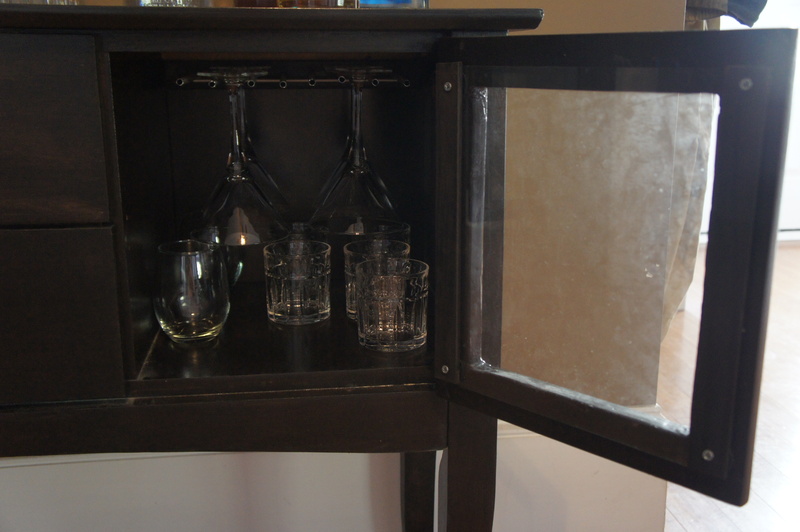 Cheap Ikea trivet cut in half and mounted it to the inside of the cabinet to hang martini glasses.